Listeners will recall that the title of today's post was a slogan used on-air by Canton's WHBC/1480, especially during its full-service/oldies format that dominated the market for many years. One of the personalities who helped make that success possible was Tom Jarrett. He's heard here in a scoped aircheck from 2003. While it's missing most of the jingles, news and many other programming elements, the aircheck does give one a feel for the format's laid back presentation that was a holdover from another era. Even when he arrived at WHBC, Tom Jarrett was no stranger to the Akron and Canton radio markets. He spent time on-air at WHLO/640 during its transition from a news/talk format to AC in the early 1980's, then moved across town to WSLR/1350 during its days as a country station. Jarrett initially signed on in Canton at WHBC/94.1 when its dropped its beautiful music format in favor of oldies in 1990, but moved across the hall to 1480 shortly therafter. He would hold down middays there until 2007, when WHBC switched to news/talk. 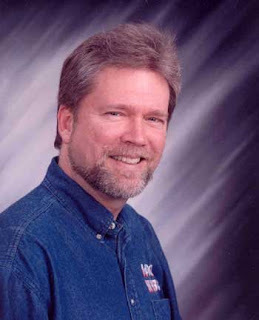 He was moved into a producer's role for midday talk host Ron Ponder and also hosted a Sunday version of the old staple, "Tradio". When the recession prompted many broadcast outlets to trim their staffs last year, Jarrett was among those who lost their jobs.